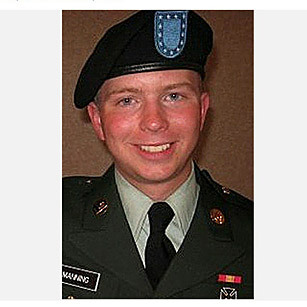 Without Bradley Manning, you're unlikely ever to have heard of Julian Assange. It was Manning's alleged leak of more than a quarter of a million classified U.S. diplomatic cables that turned WikiLeaks into a household name and Assange into the bête noire of government secrecy. Manning allegedly got access to the documents while on a tour of duty in Iraq. Needless to say, the military frowns on that sort of thing, and Manning is being held in solitary confinement in Quantico, Va., pending court martial. Meanwhile, publicly questioning the harsh conditions of Manning's incarceration cost State Department spokesman P.J. Crowley his job.